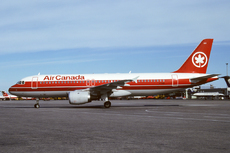 An Air Canada Airbus A320 operating as flight AC221 from Calgary, Alberta to Vancouver, British Columbia was cleared to take-off on runway 29 at the Calgary International Airport in Canada. At approximately 2200 feet into the take-off roll, the flight crew observed a Sunwest Aviation Swearingen SA226-TC Metro II (C-FGEW) crossing runway 29 from south to north on Taxiway Alpha. The Metro II had been cleared to cross runway 29 to taxi to the northwest hangar line. Since the Metro II was more than 50% across runway 29 when AC221 made visual contact, the takeoff was continued, without further event. 1. 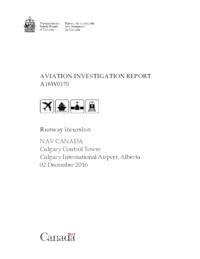 The runway incursion occurred after the combined ground controller cleared C-FGEW to cross Runway 29 while Air Canada flight 221 was departing on Runway 29. 2. Due to a strong habit intrusion error, the combined ground controller reverted to the frequently practised routine of instructing the aircraft to cross Runway 29 without prior coordination with the combined tower controller. 3. The infrequent use of Runway 29 during the day, together with the absence of relevant training scenarios or simulation of Runway 29 operations, meant that controllers rarely encountered situations where the need to coordinate prior to executing crossings of Runway 29 was reinforced. 4. The runway jurisdiction system did not provide a sufficiently compelling cue to ensure that the combined ground controller did not revert to the well-practised routine of clearing aircraft across Runway 29 without coordination.